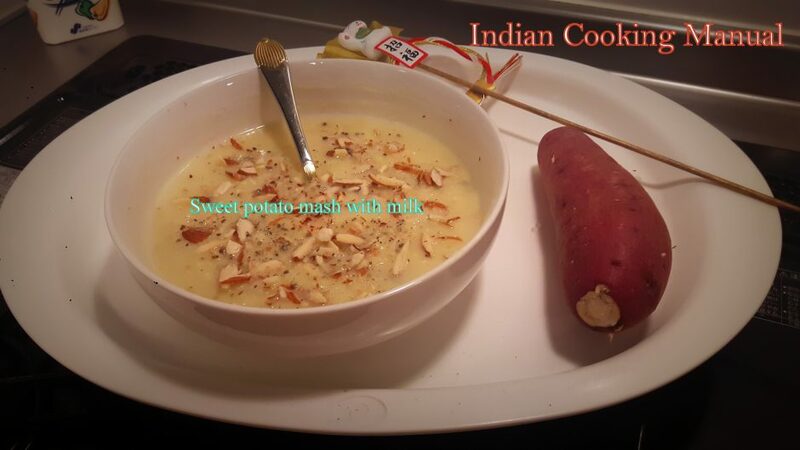 Boil/microwave the sweet potatoes, mash and add warm milk till it achieves slightly thick consistency not watery. 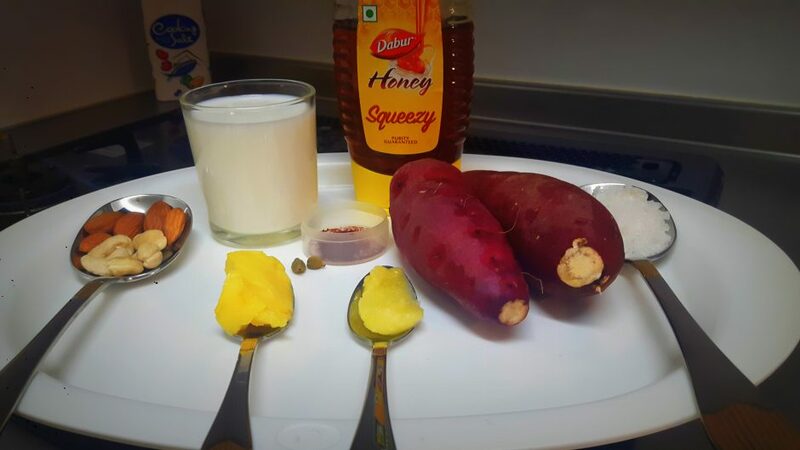 Add sugar/ honey as per your choice. 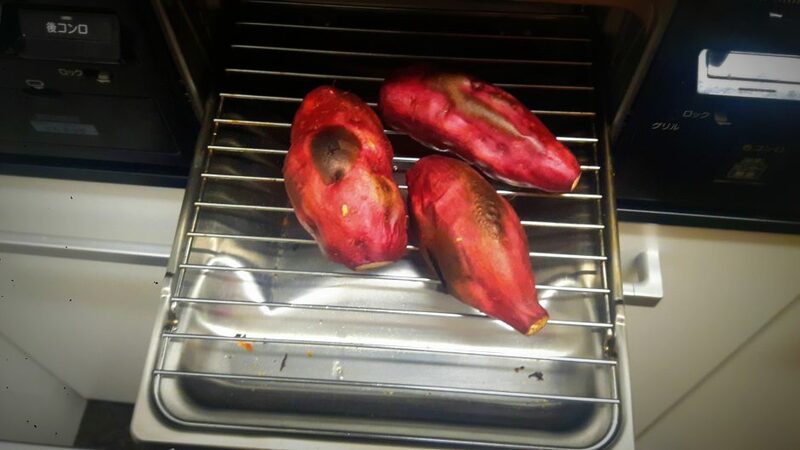 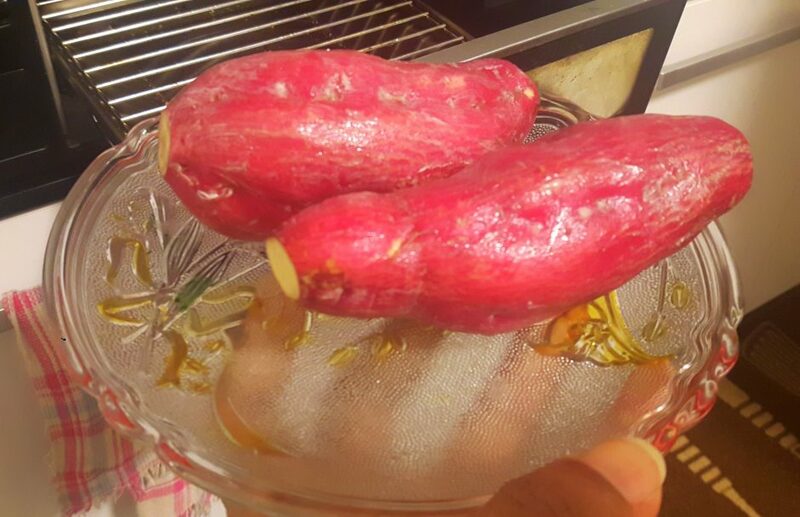 Wash and dry the sweet potato with kitchen towel, apply little quantity of ghee on the skin; Boil/microwave/roast the sweet potato, remove skin (outer layer) Keep aside. 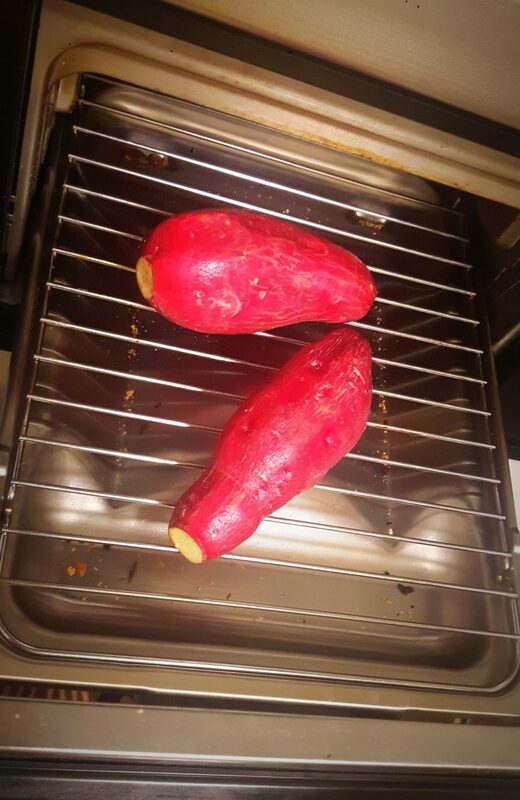 Here I used Japanese griller and roasted, which is very convenient. 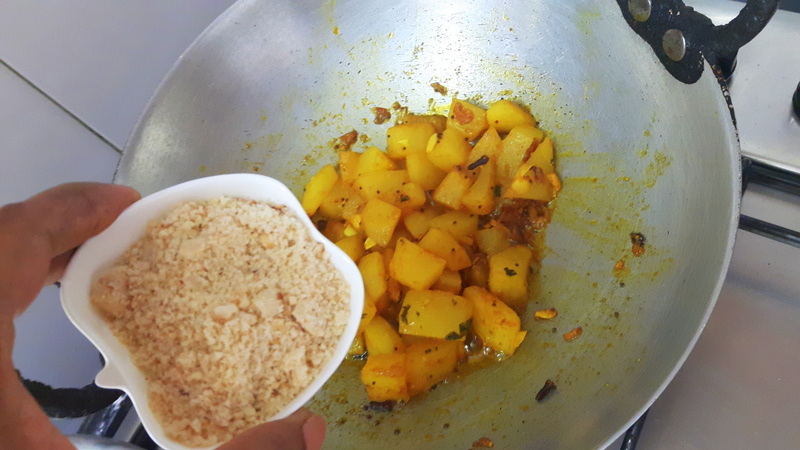 Take a mixing bowl put all sweet potatoes, Add sugar/ honey as per your choice into this bowl, and mash with the help of masher or hand. 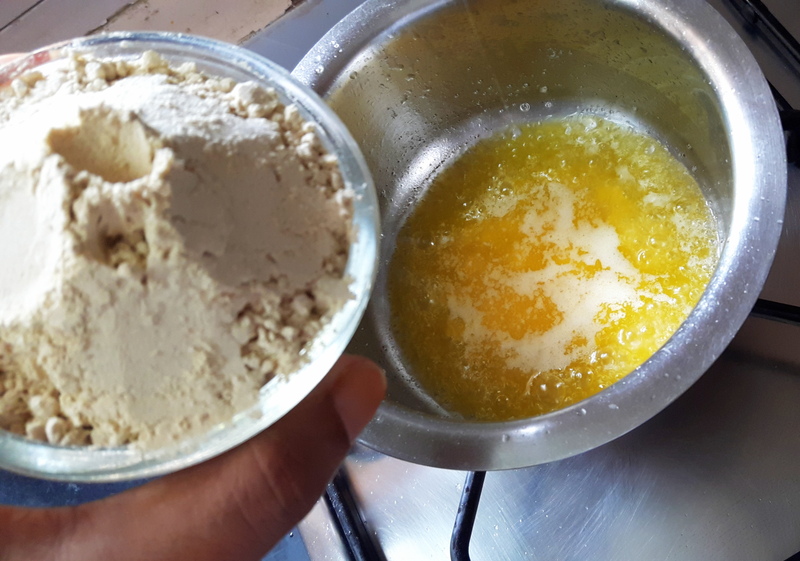 Mash properly more you mash better will be the taste. 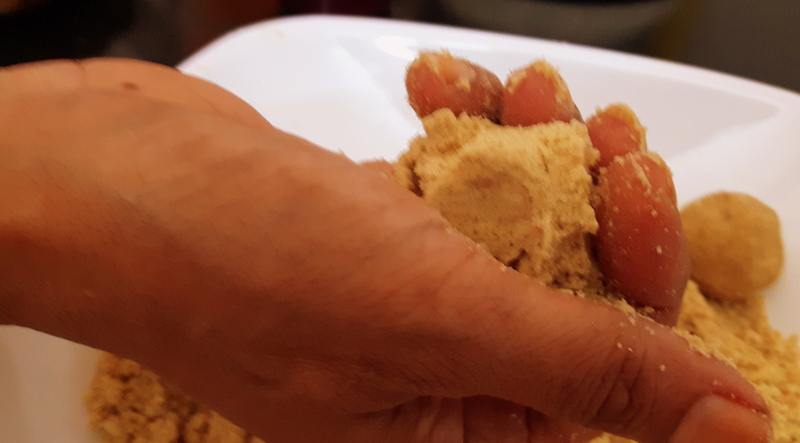 Add warm milk in steps to make smooth paste of slightly thick consistency not watery. 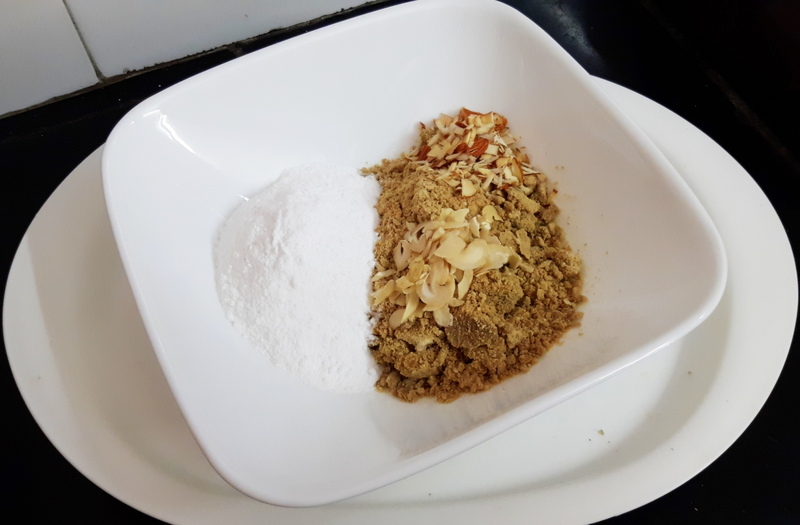 Add other ingredients and mix. 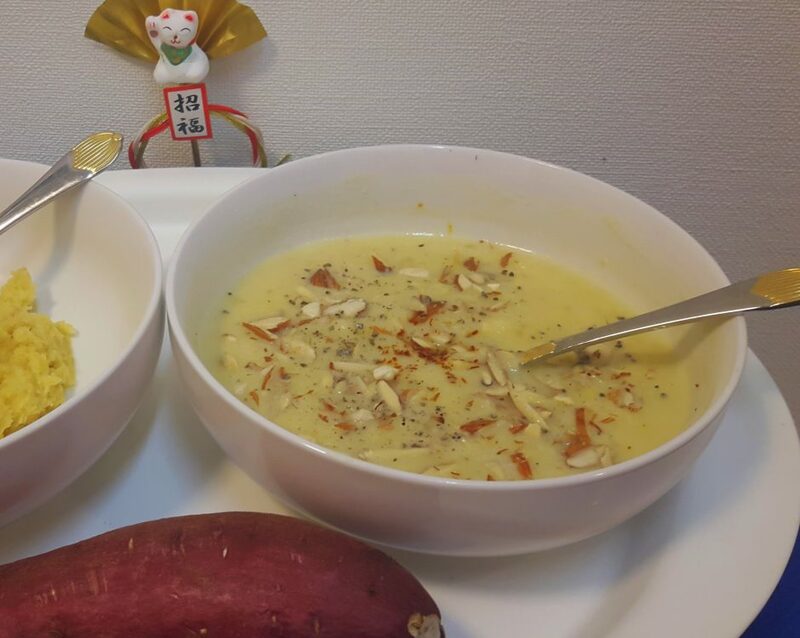 Sweet potato mash with milk is ready to serve or to feed your baby. 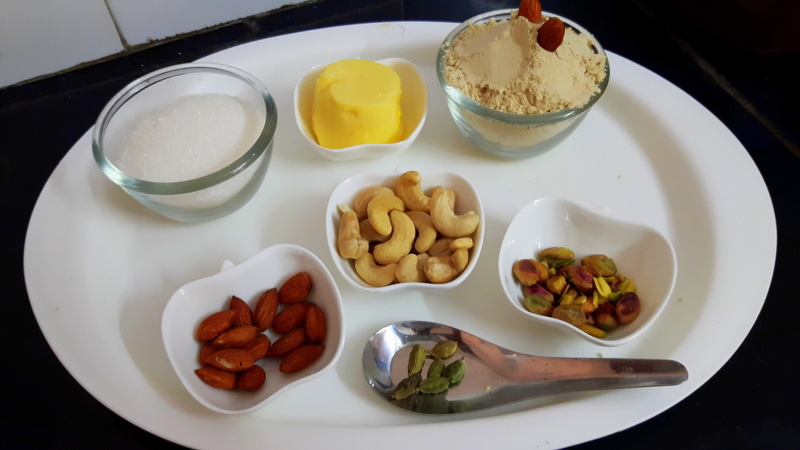 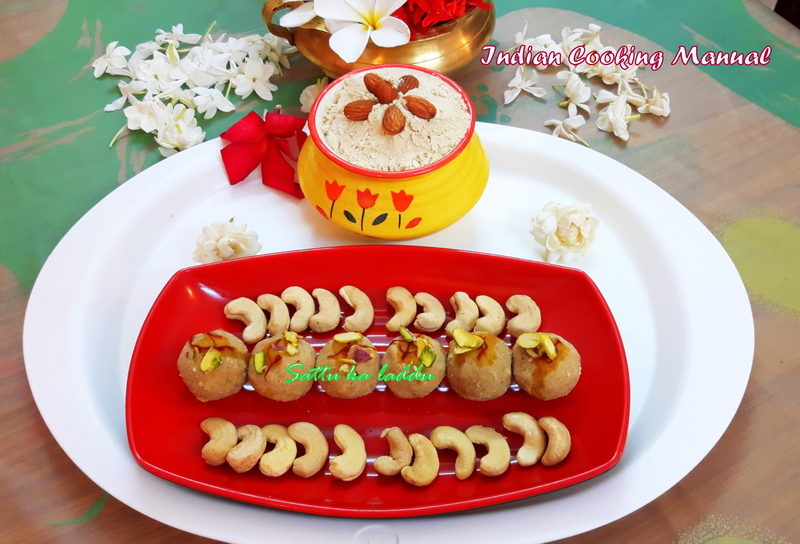 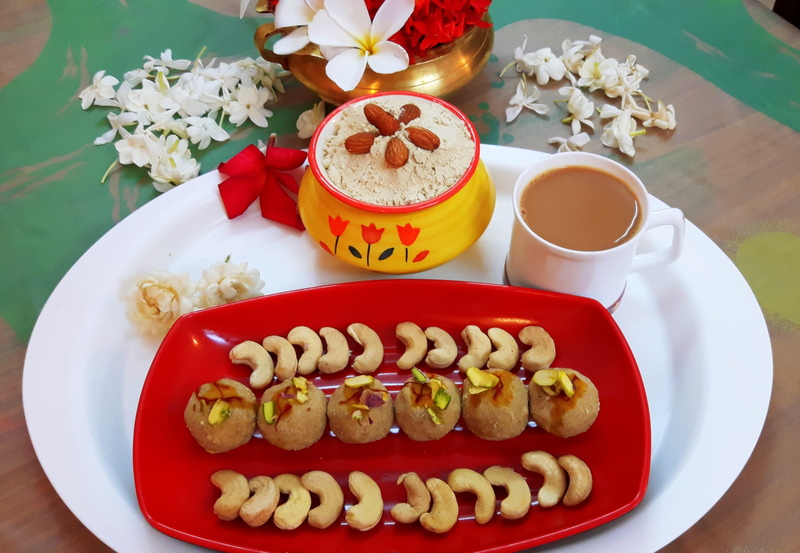 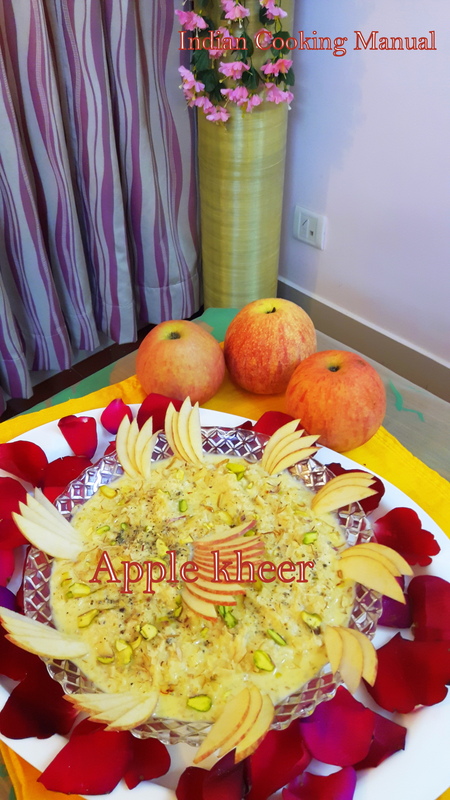 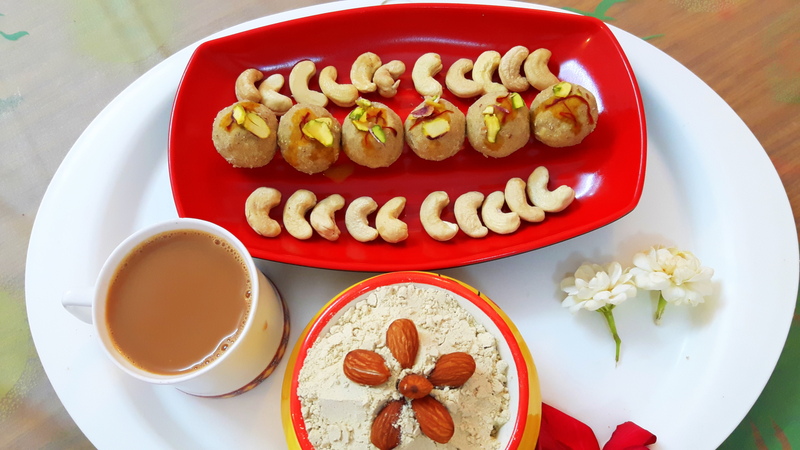 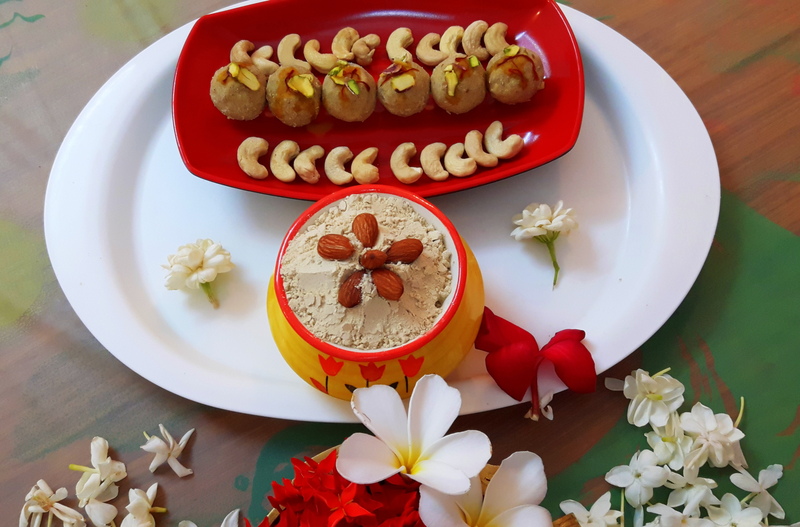 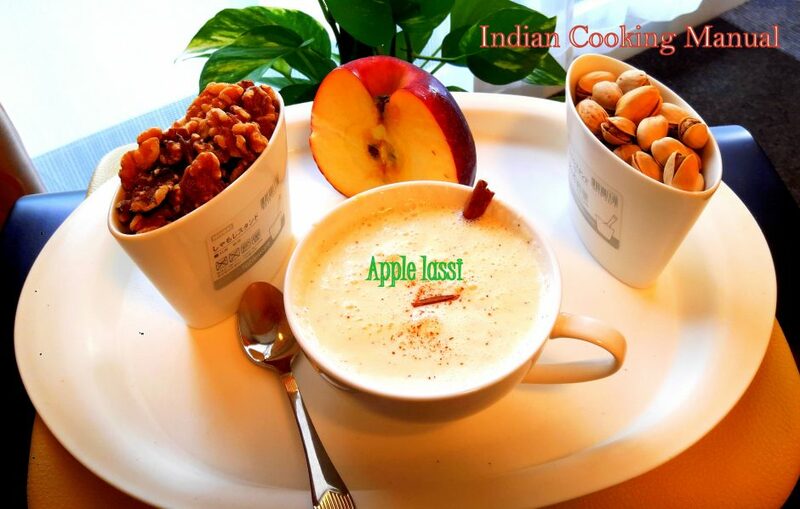 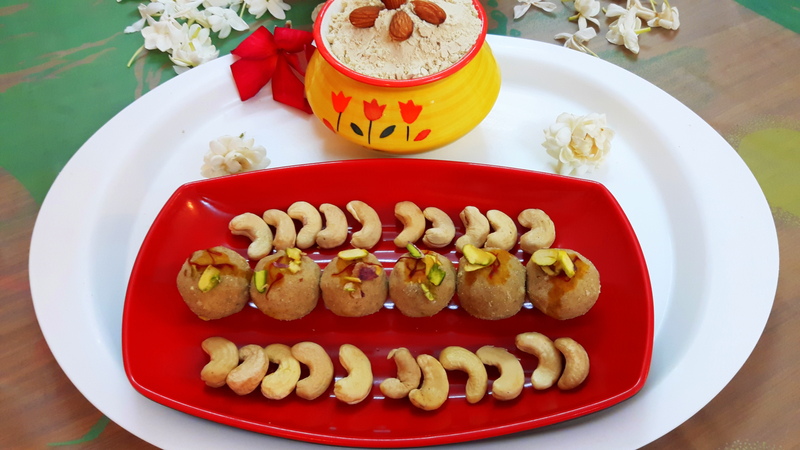 You are free to decorate with dry fruits if not serving to baby. 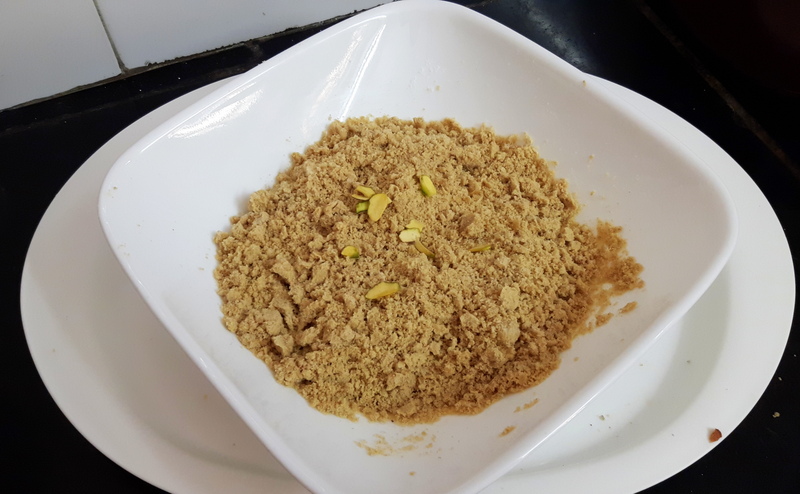 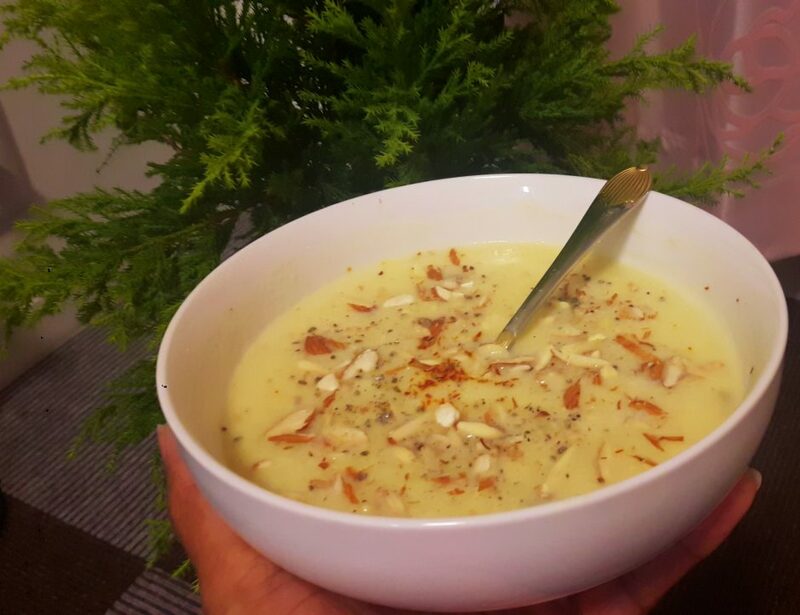 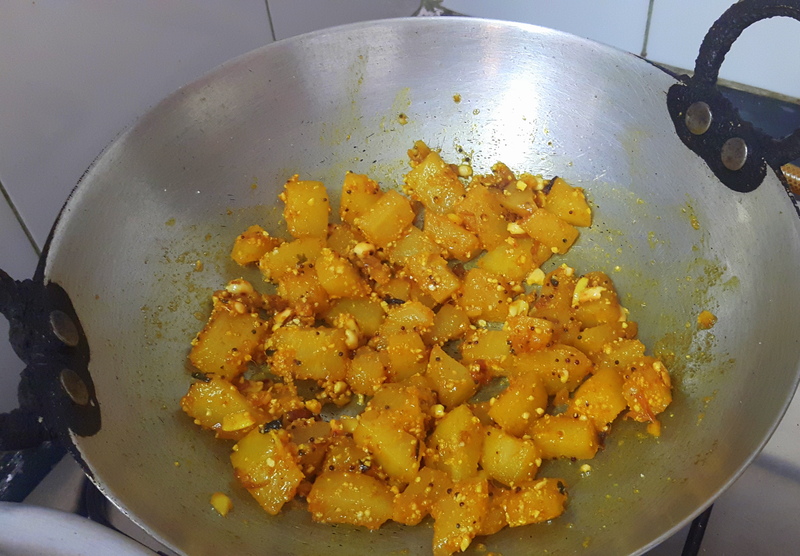 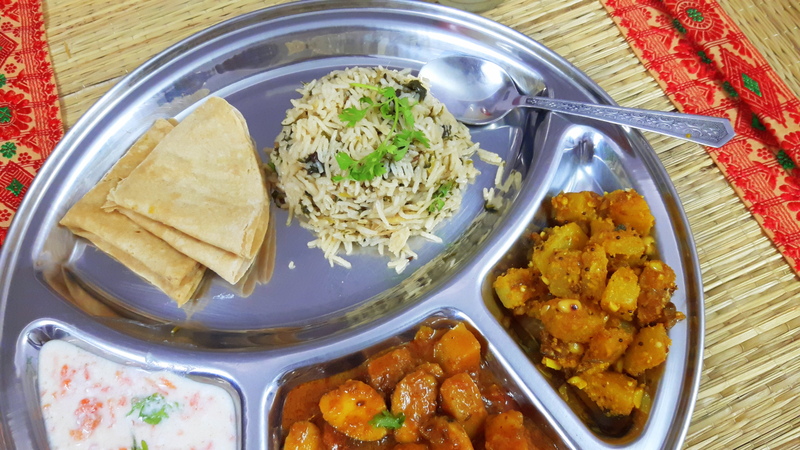 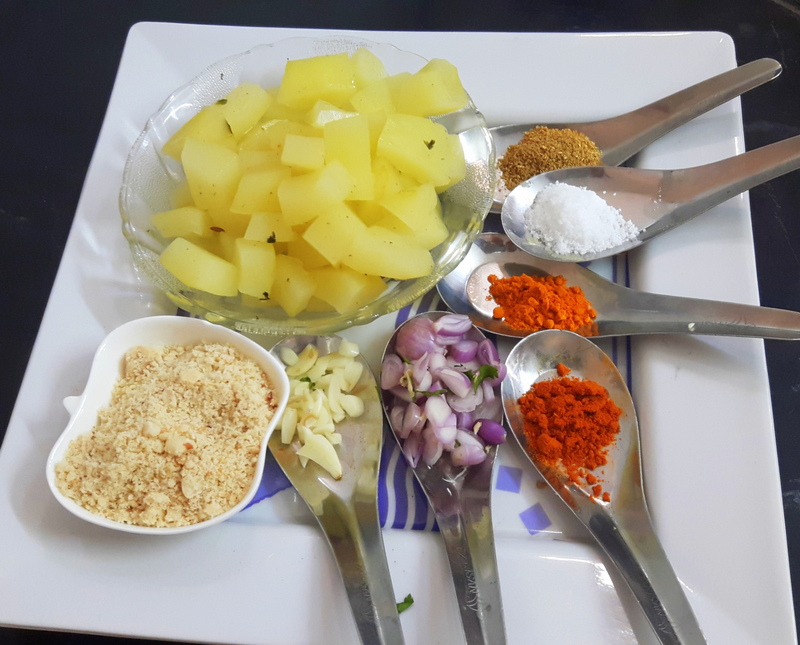 This is relished as side dish with just dal-chawal or it can be served with Indian chapatti and toasted bread as well. 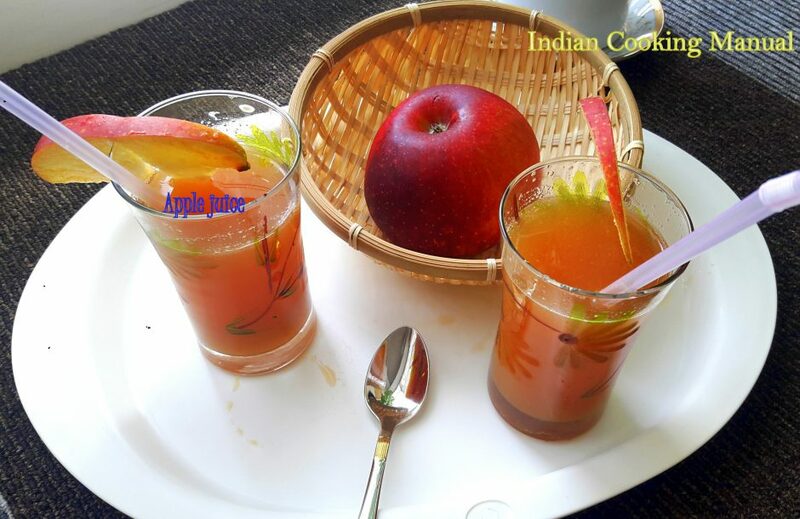 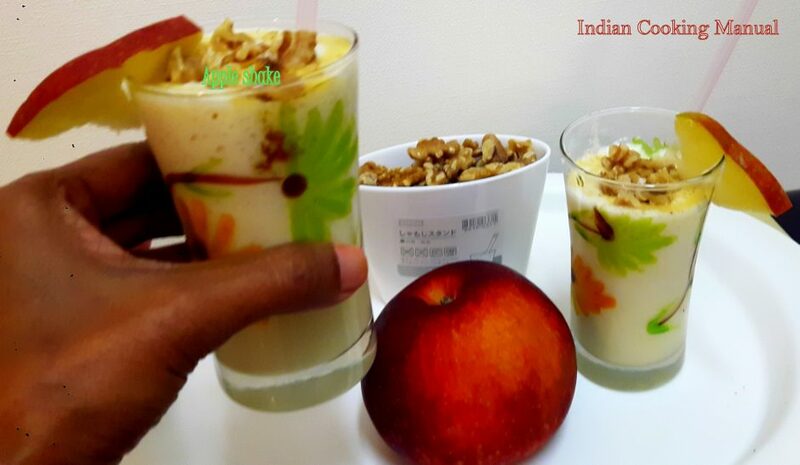 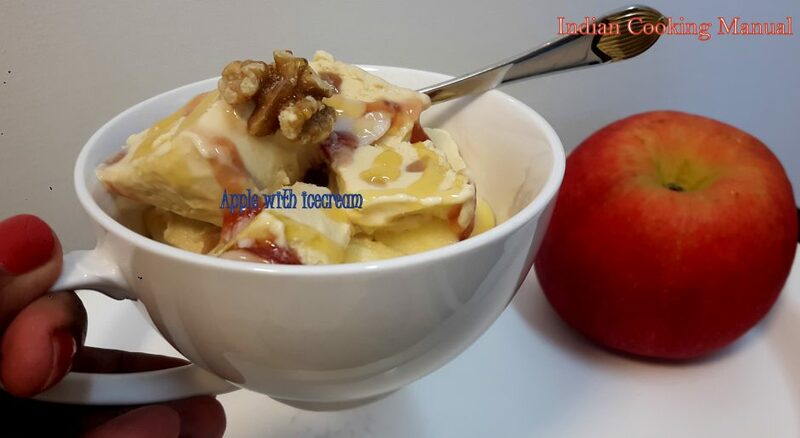 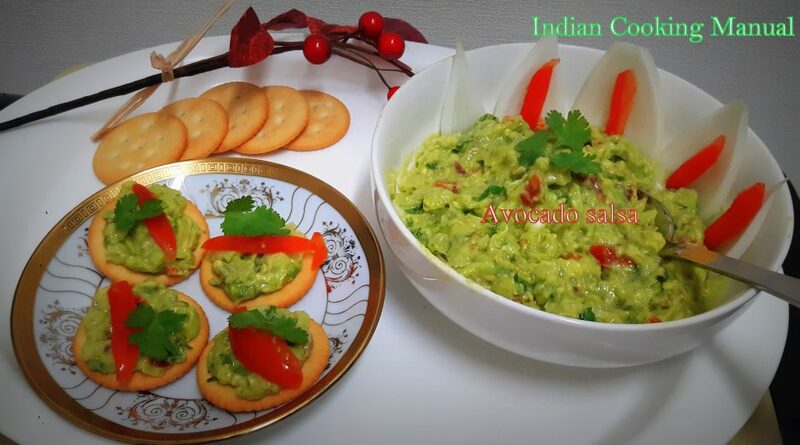 You can serve this with potato chips, biscuits and papad followed by evening tea. 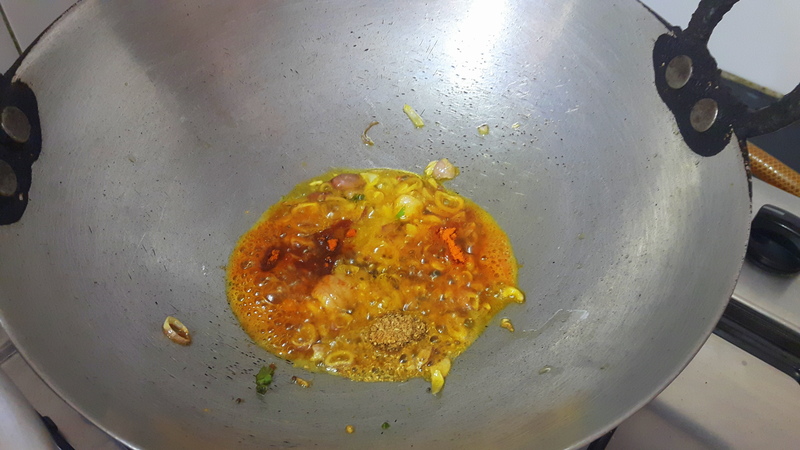 Chop the onion, tomato, ginger, green chili and coriander leaves, keep aside. 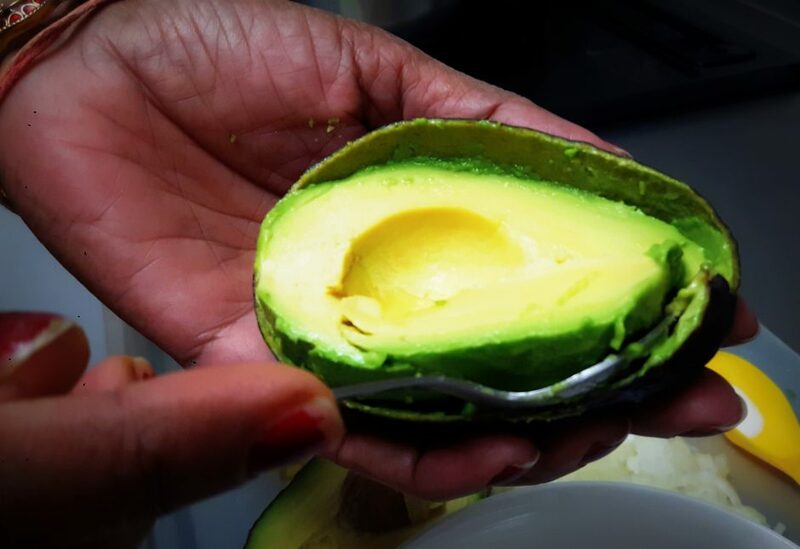 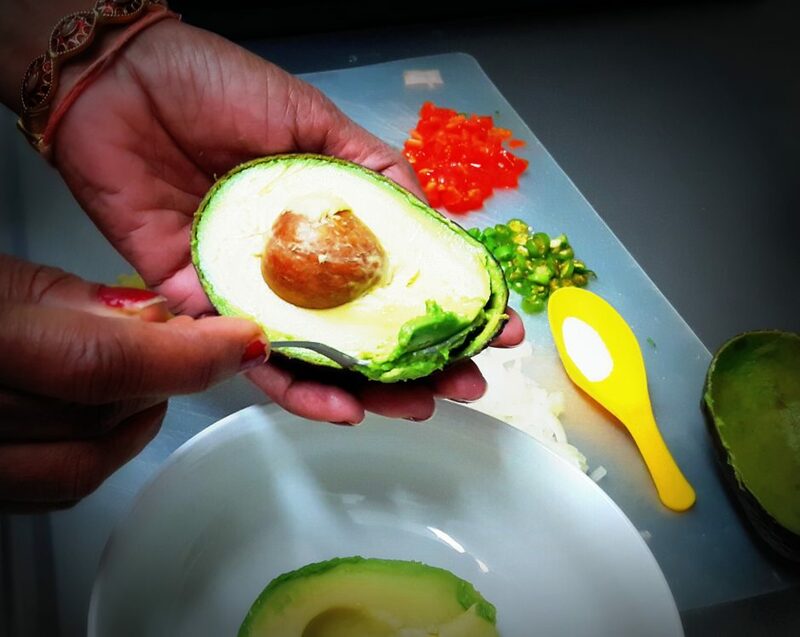 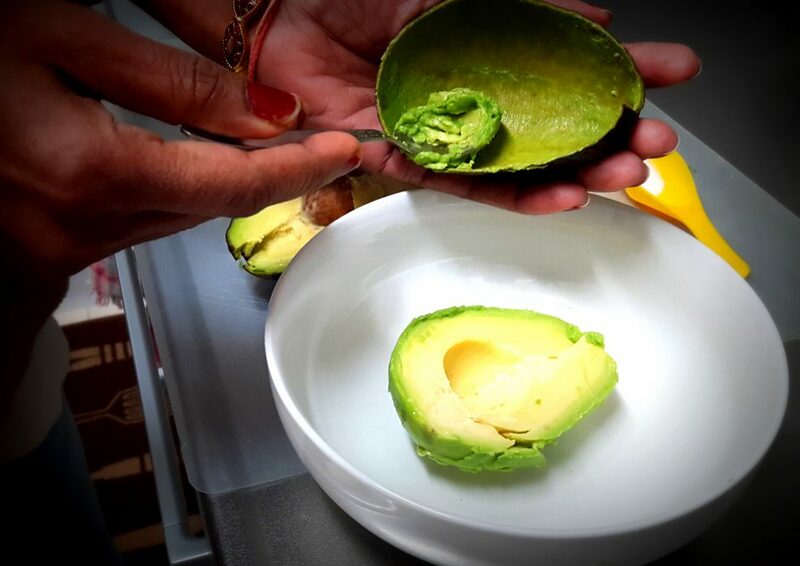 Cut the avocado into two halves: discard the seed, take out the pulp with help of spoon. 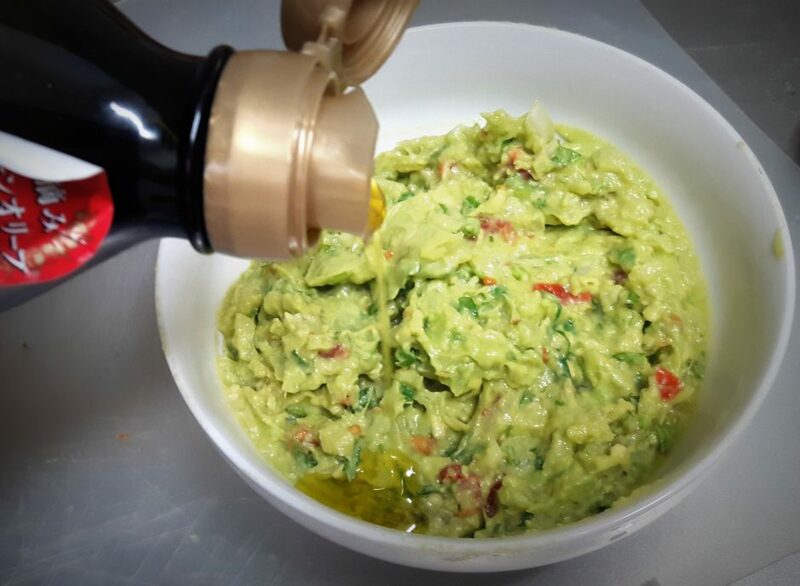 (Shown in the photo) put them in a mixing bowl. 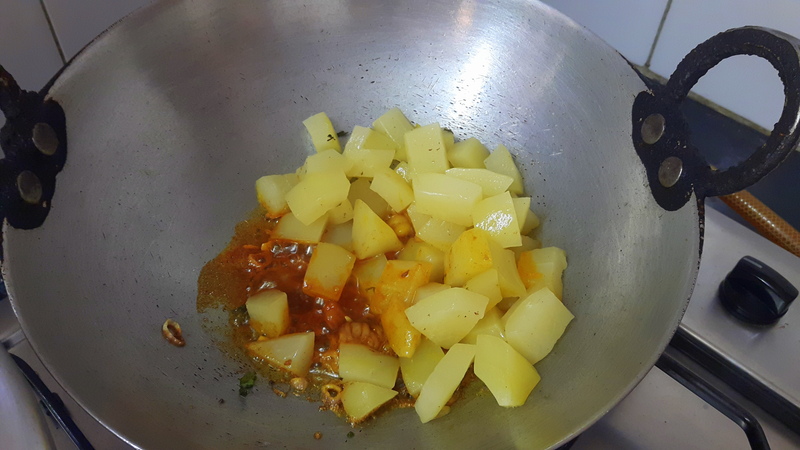 Add chopped onion, tomatoes, ginger, chili, coriander leaf. 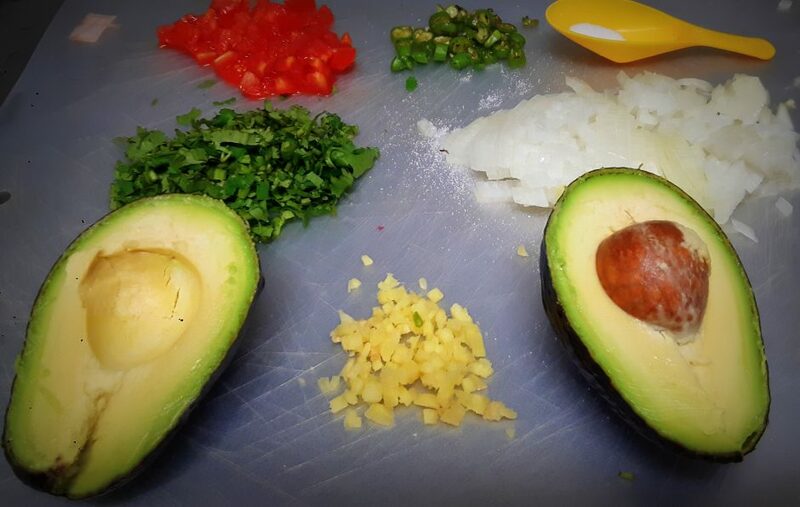 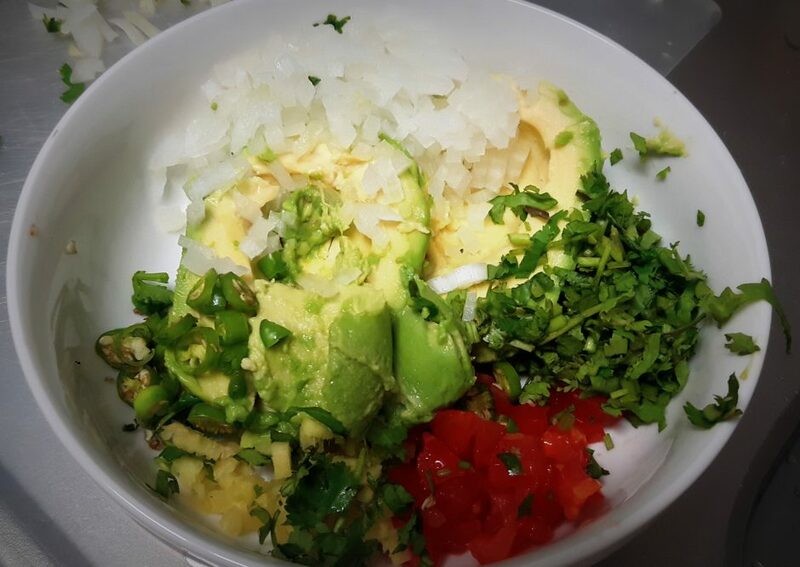 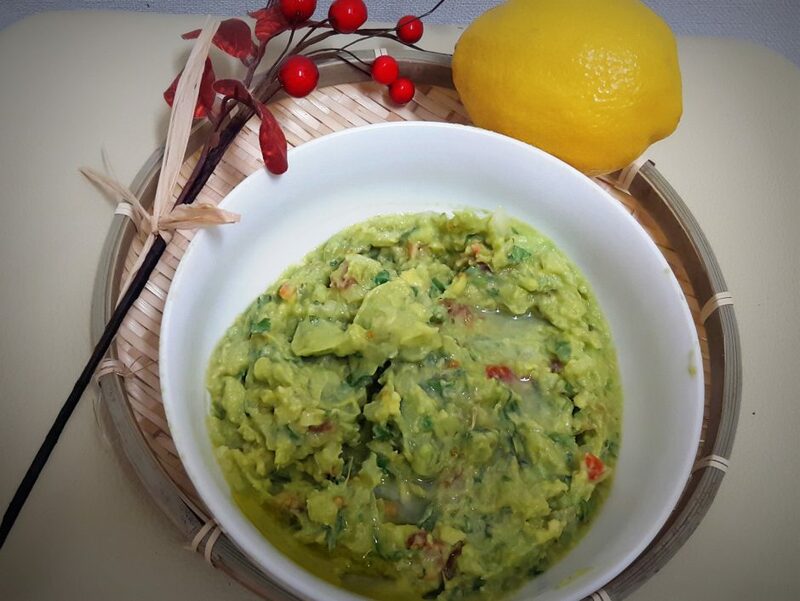 Mash the all chopped ingredients and avocado pulp with the help of masher/hand. 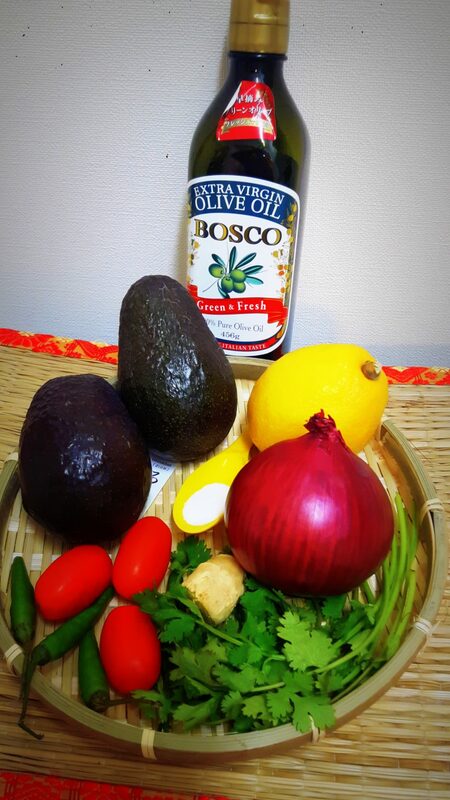 Add salt and olive oil mix well. 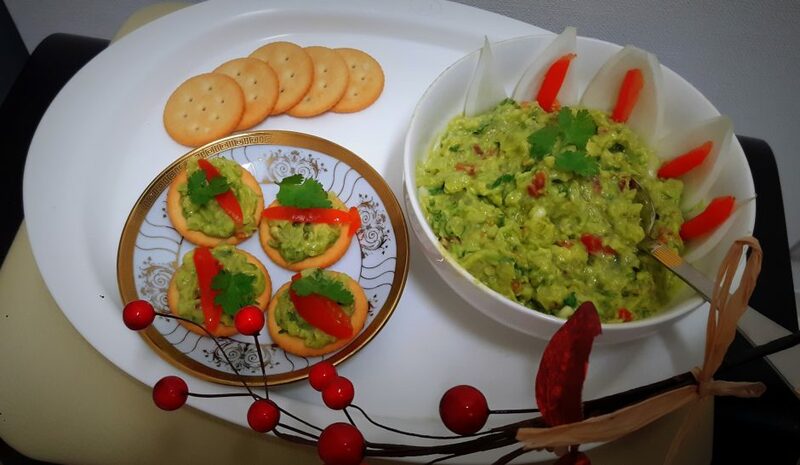 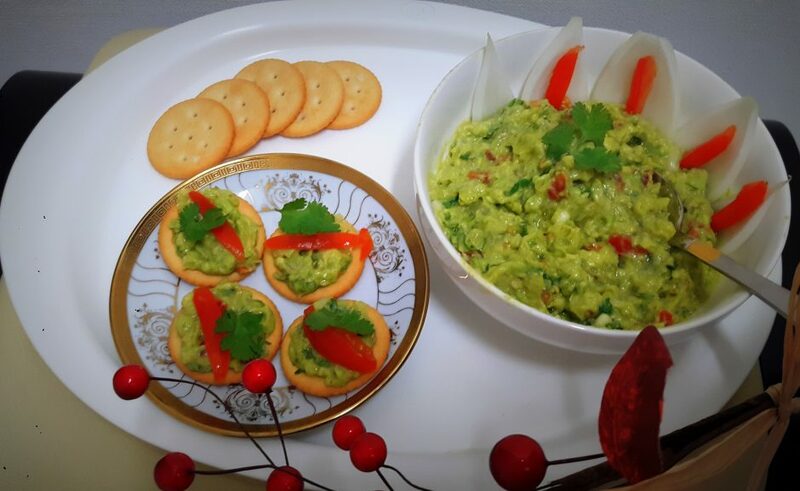 Avocado salsa is ready to serve with salted biscuits. 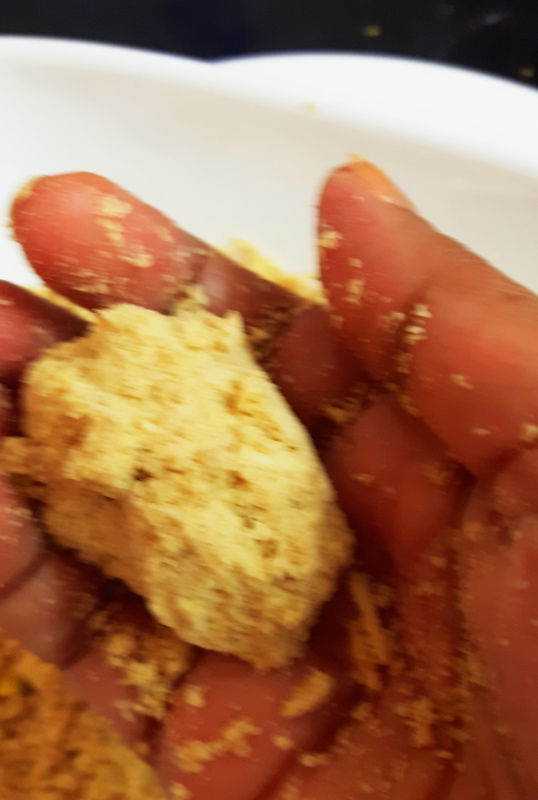 Dry roast peanut, discard the skin of peanut, roughly ground, and keep aside. 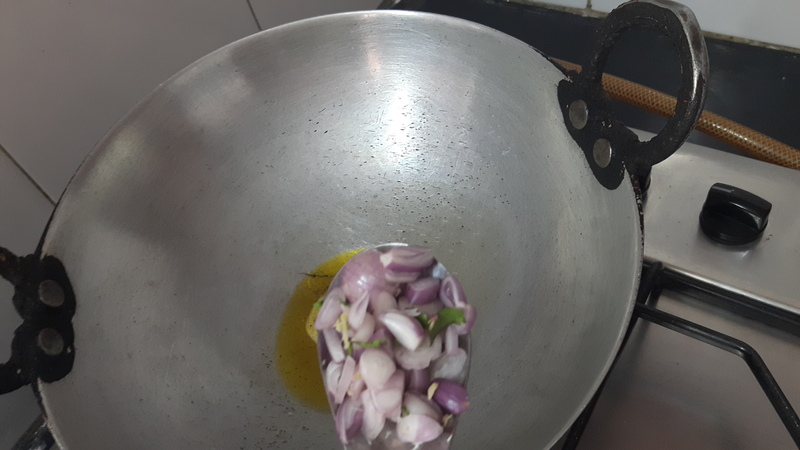 Chop the onion and garlic, keep aside. 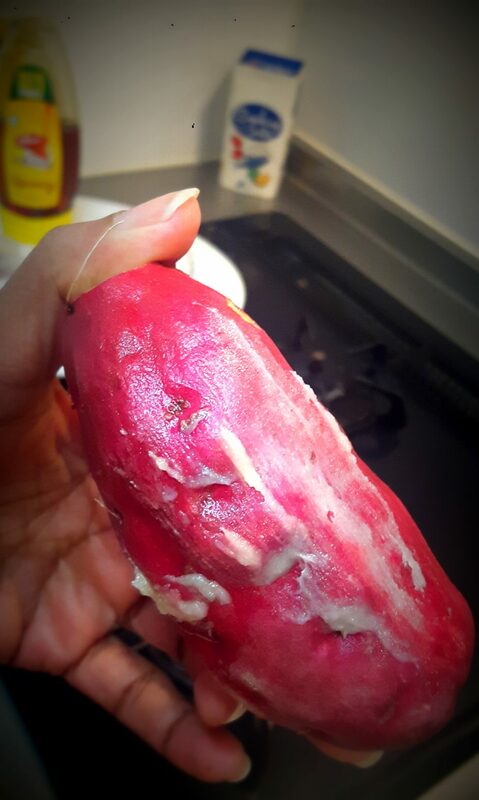 Peel off papaya, discard the seeds and chop into small cubes, boil/ microwave the chopped papaya, keep aside. 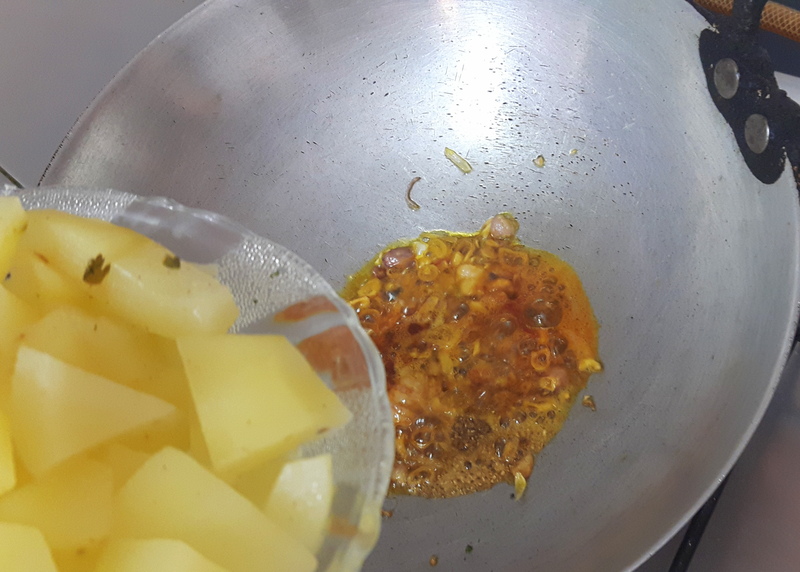 minutes on high flame till it gets translucent, add boiled raw papaya, sauté on medium flame, and cover for few minutes (~ 4-6 minutes). 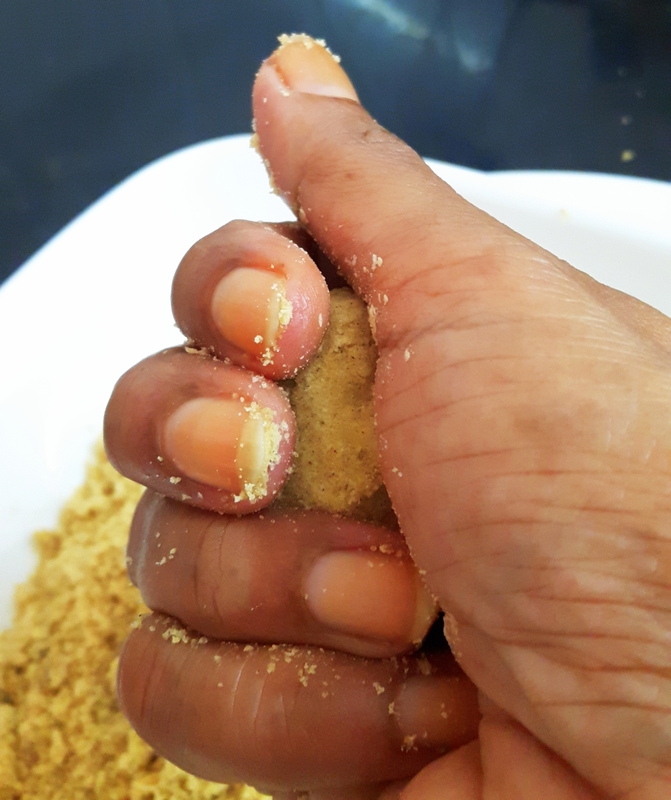 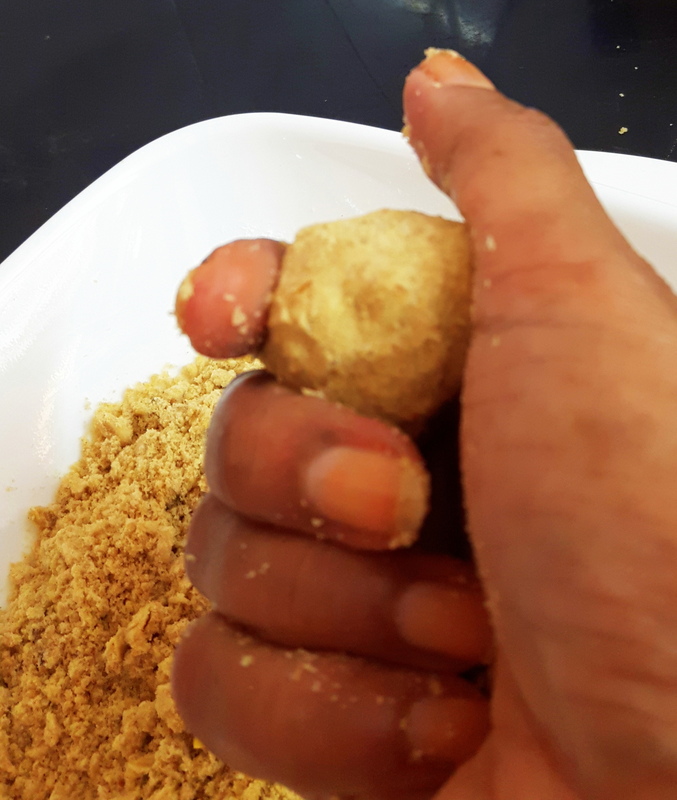 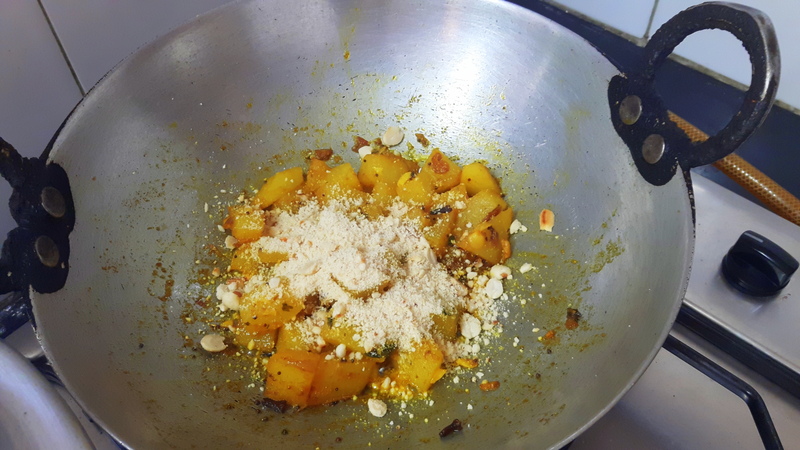 Add coriander powder, turmeric powder, salt and roughly grind peanut. 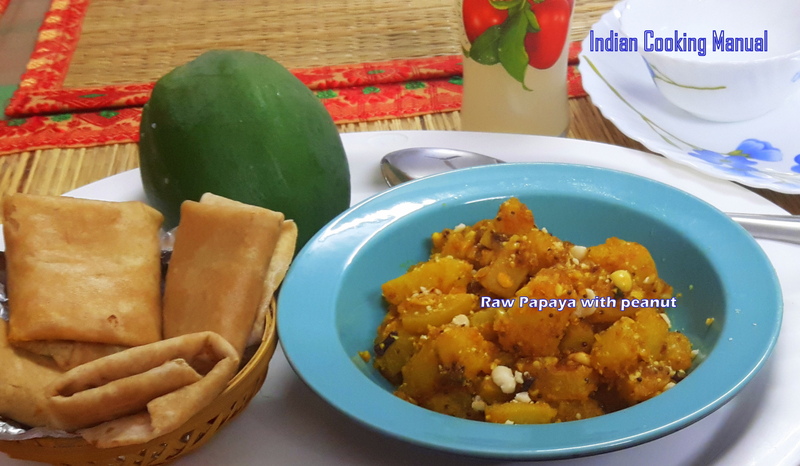 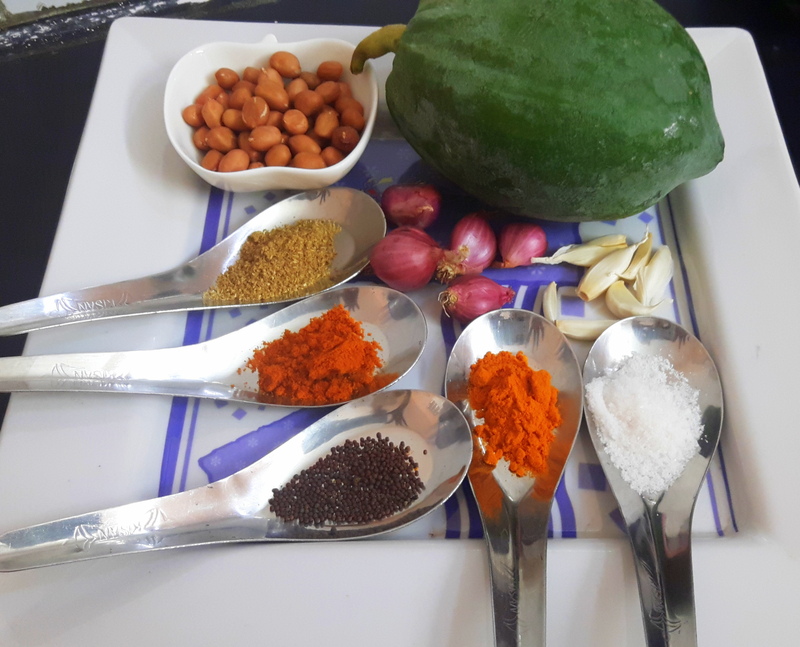 Stir fry for 2 minutes, now raw papaya with peanut is ready to serve. 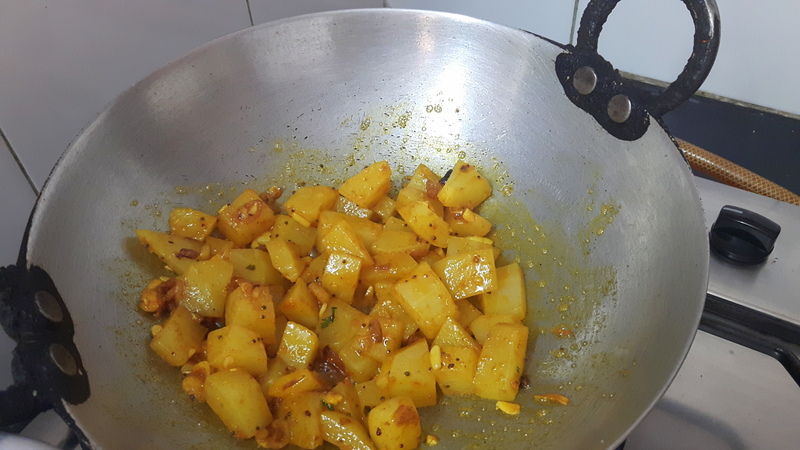 Note: heavy bottom pan works better. 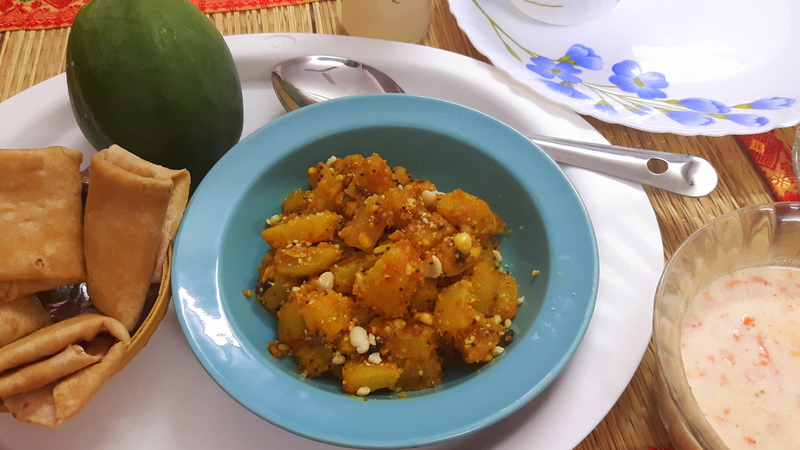 This is served with rice or chapati/ paratha.